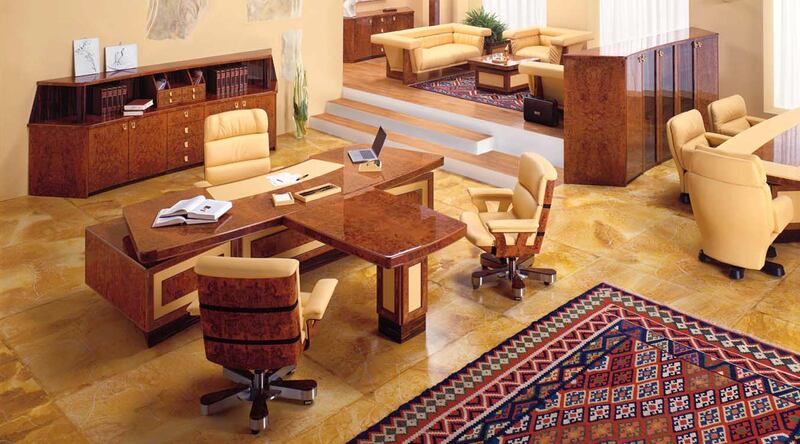 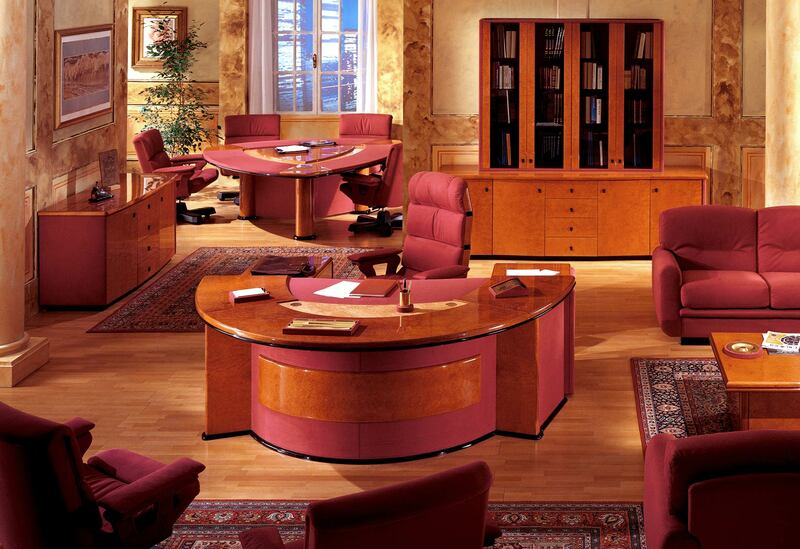 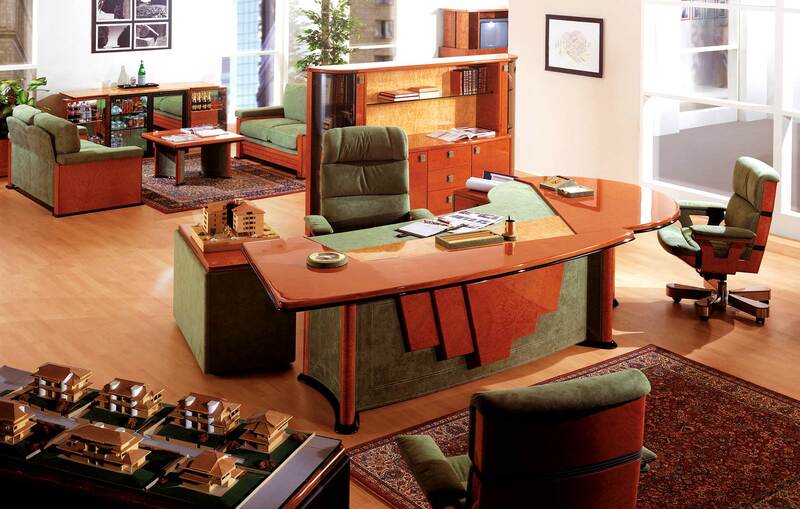 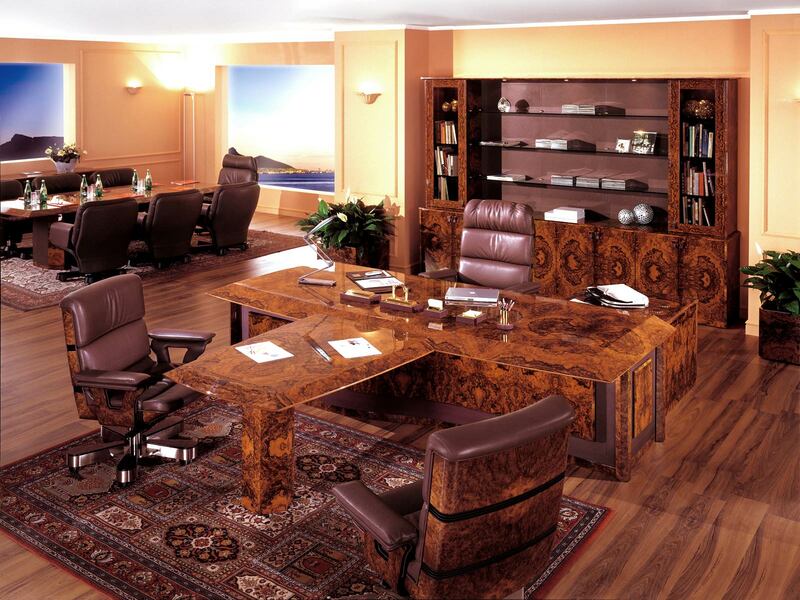 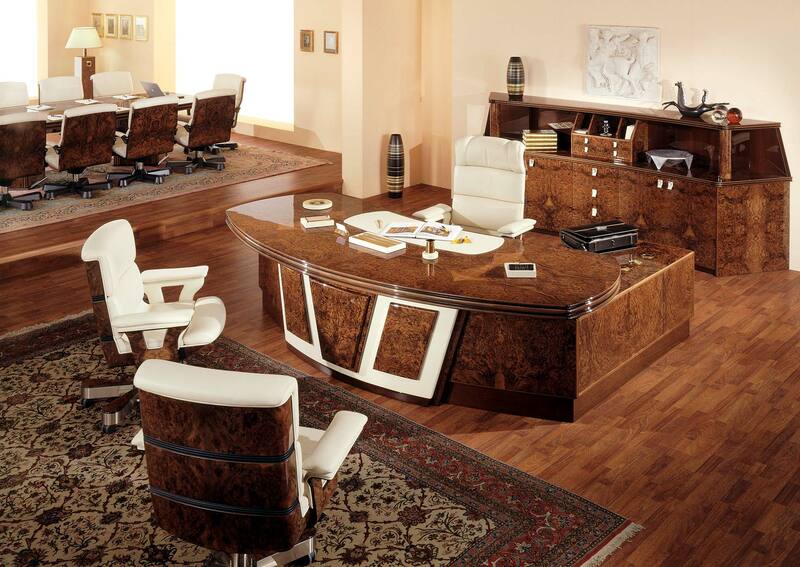 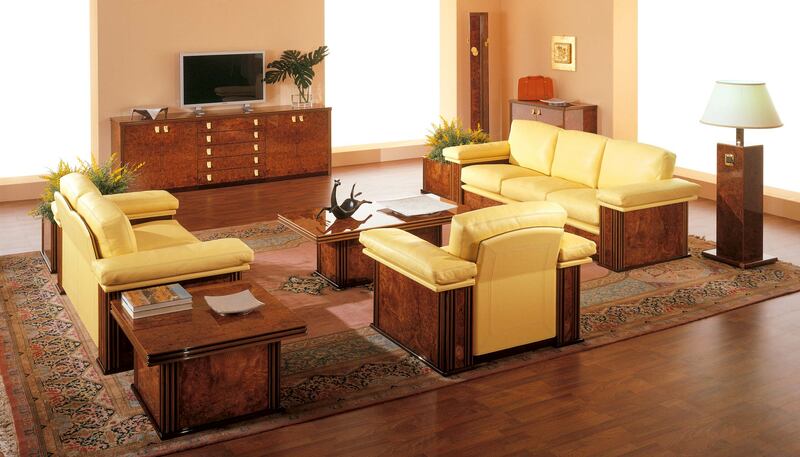 R.A. Mobili manufactures executive office and deluxe presidential office furniture in burlwood All made in Italy. 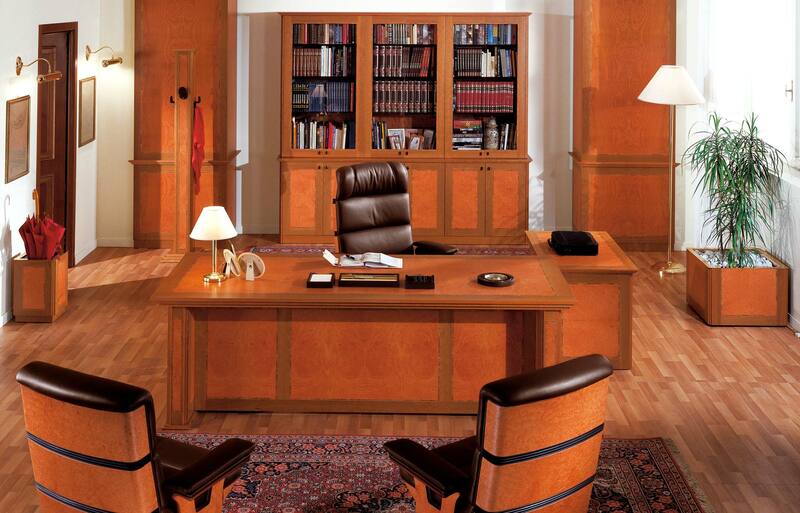 Founded in 1906 as a family business, R.A. Mobili has thrived by specializing in the production of de luxe furniture for executive and presidential offices without losing its traditional touch. 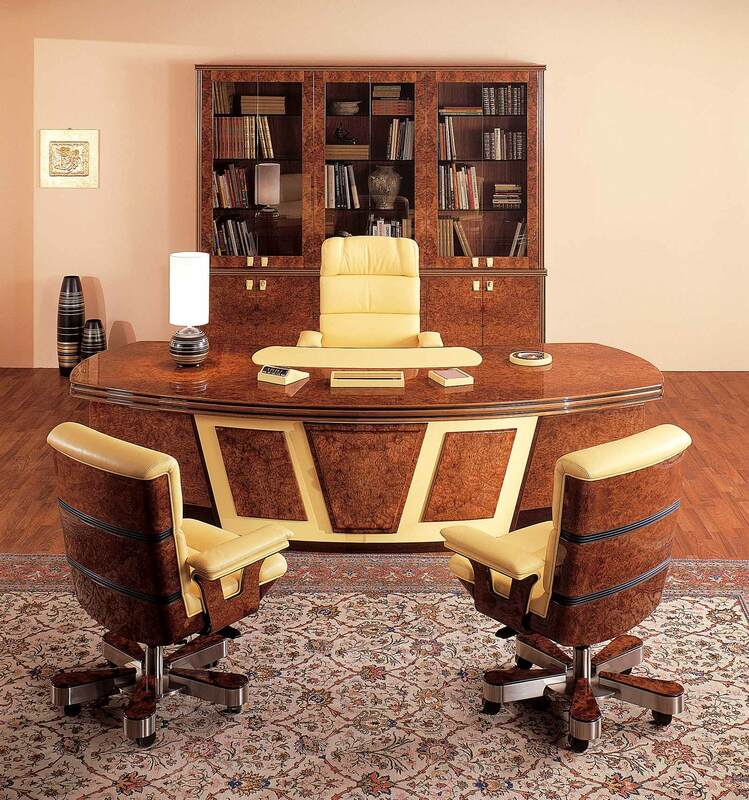 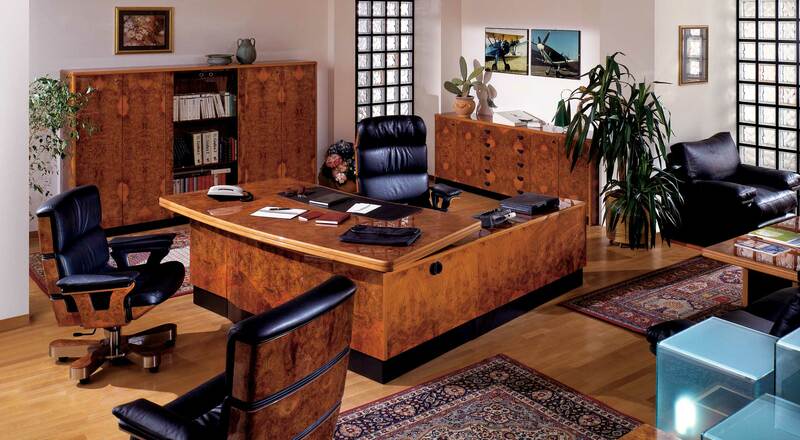 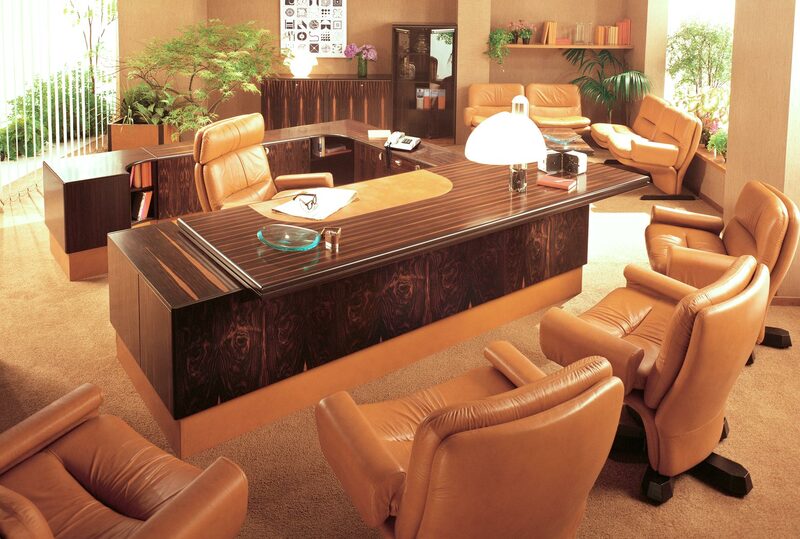 Market leaders in executive and presidential office furniture R.A. Mobili offers de luxe decor with leather and burlwood trims. 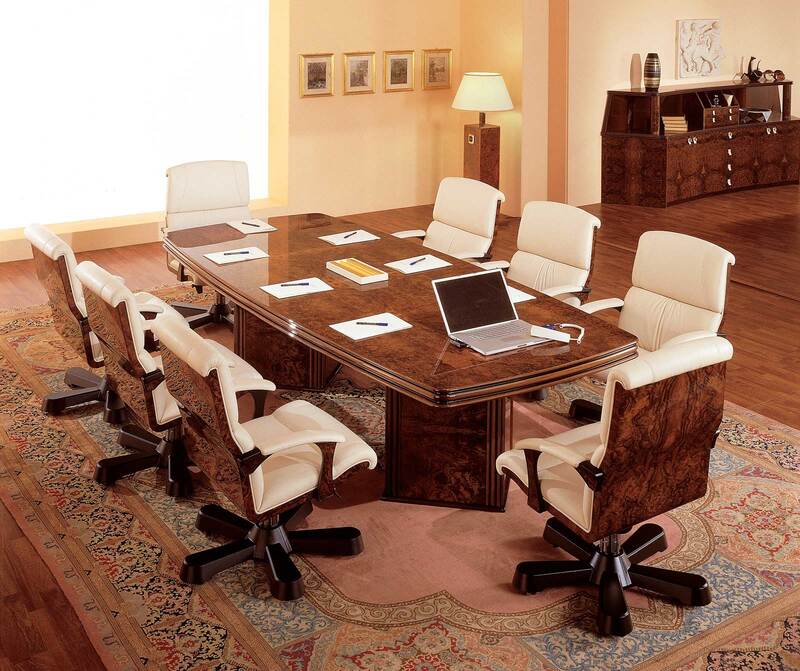 It employs highly-specialized personnel, trained by and alongside experienced craftsmen. 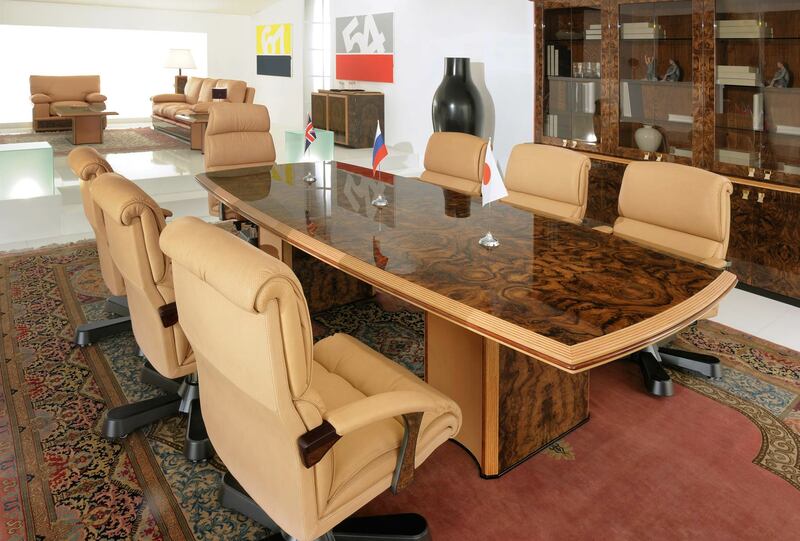 R.A. Mobili's products are some of the world's most impressive executive and presidential offices, including boardroom tables, burlwood bookcases, leather and burlwood armchairs... for lovers of Italian-made luxury items. 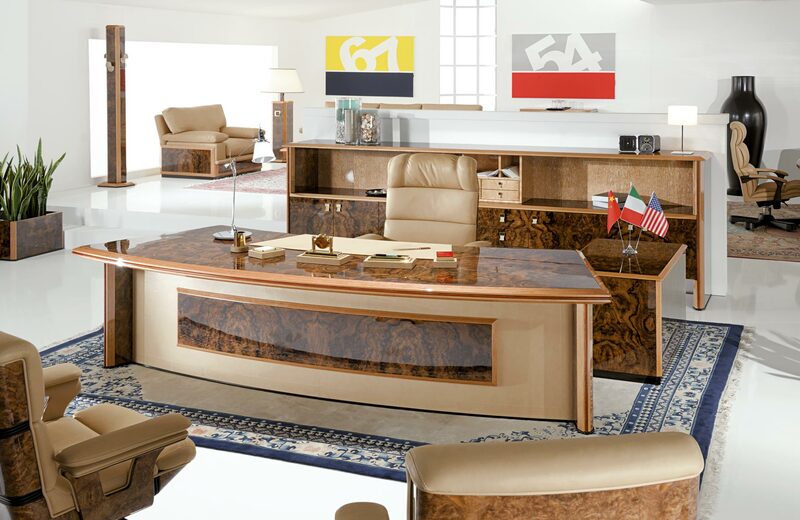 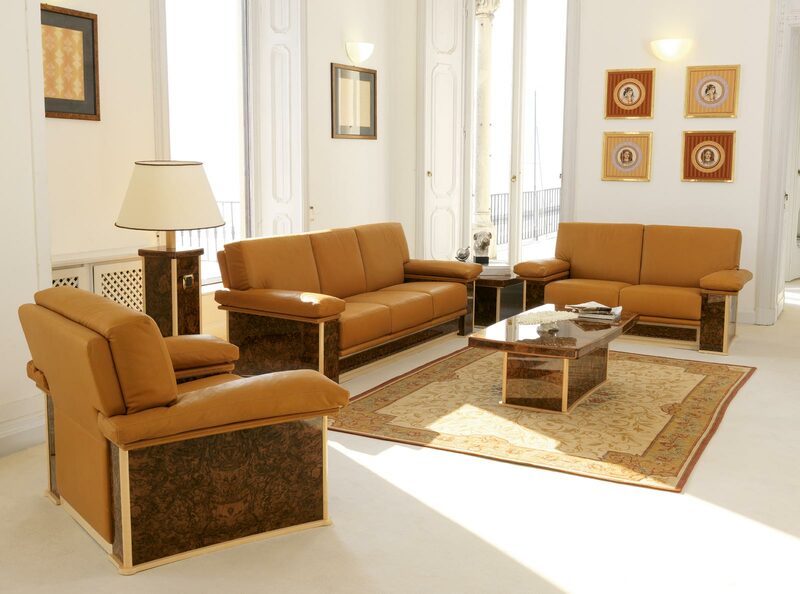 At R.A. Mobili the classic style of Italian-made burlwood and leather furniture for executive and presidential offices blends contemporary forms with modern manufacturing methods. 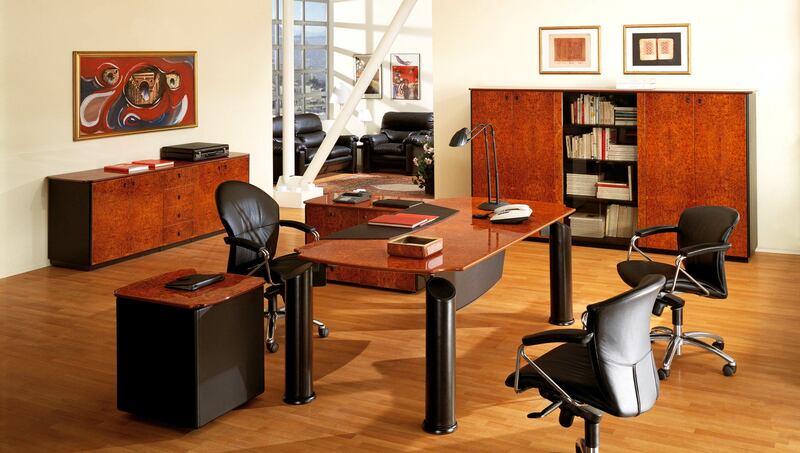 Premium quality, the best materials, fine fabrics, leathers and burlwood varities are the mainstay of R.A. Mobili's range of office furniture. 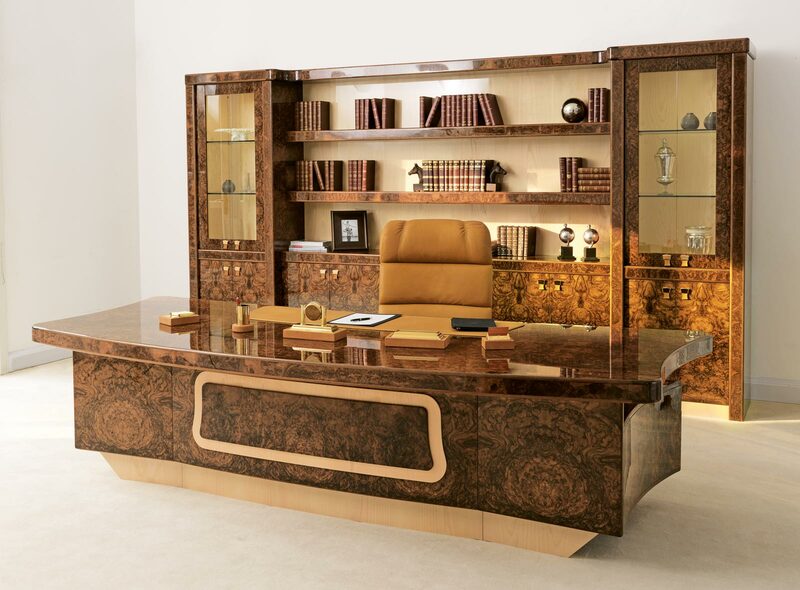 Thanks to its natural succession of ever-changing geometric shapes, burlwood guarantees the uniqueness of each piece, while project-based production and the lack of stock goods ensures the burlwood achieve utmost uniformity in each individual environment. 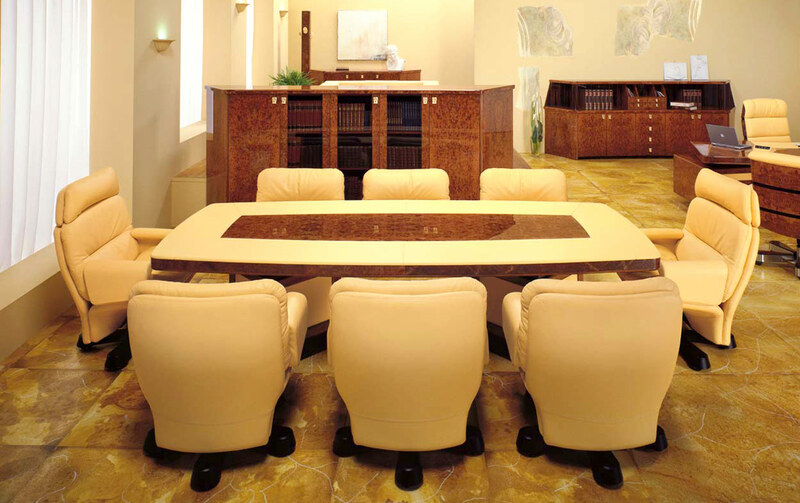 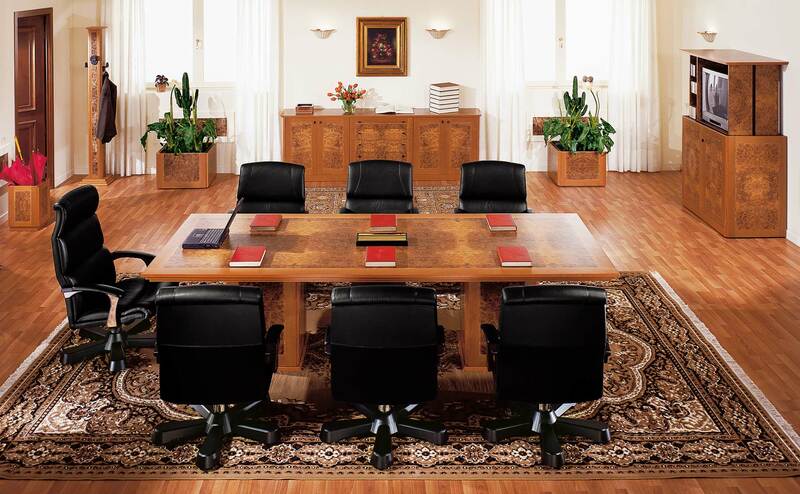 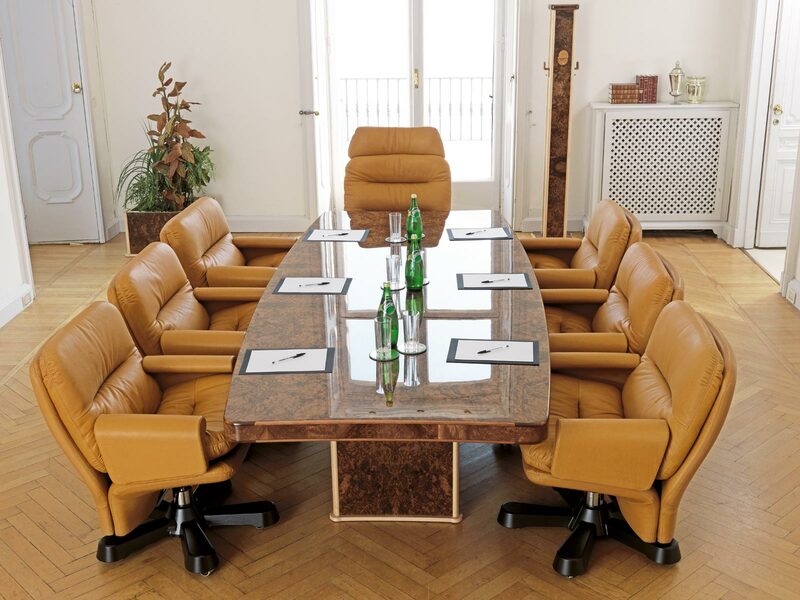 Project-based Production means that any furniture supplied by R.A. Mobili suits all executive and presidential offices perfectly, as well as impressive boardrooms: any office furnished by R.A. Mobili becomes a unique and very special ambience. 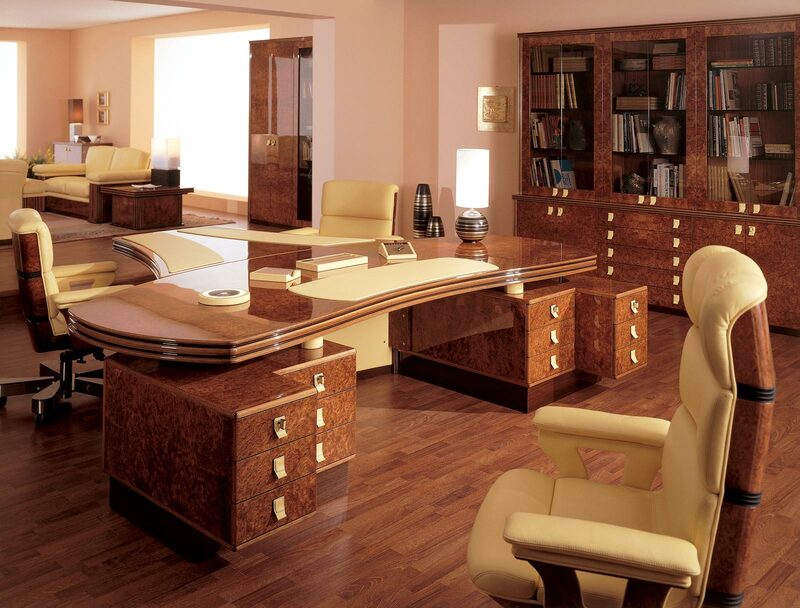 R.A. Mobili has built some of the world's most prestigious executive, ministerial and presidential offices, achieving ever higher degrees of excellence. 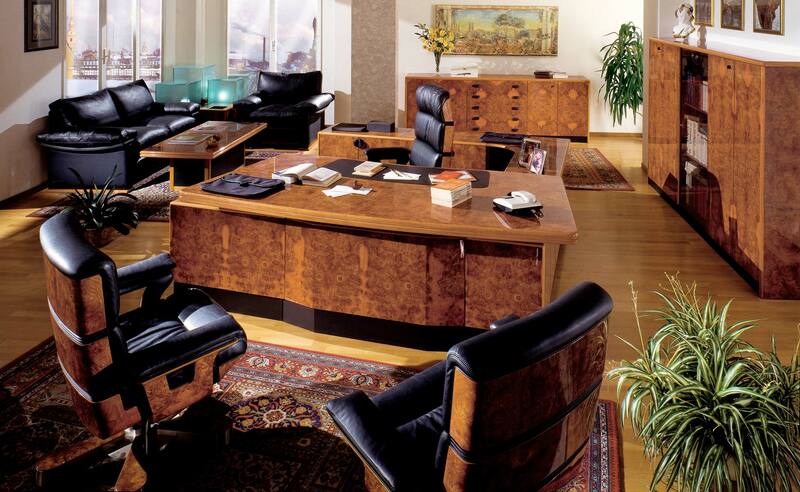 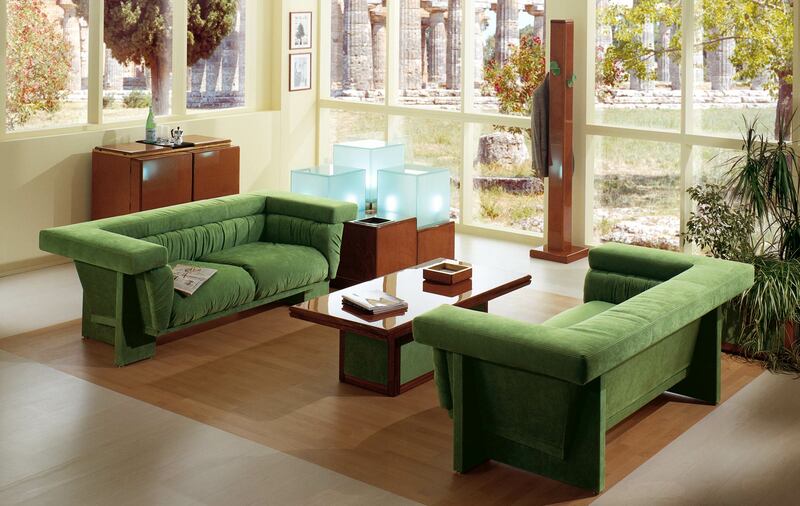 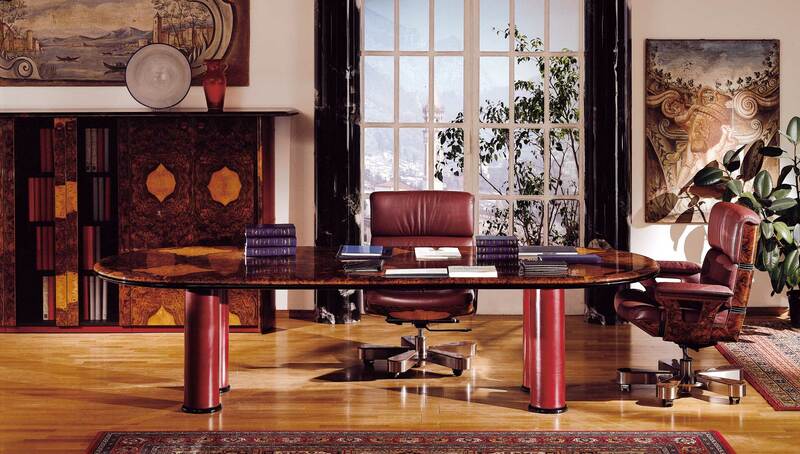 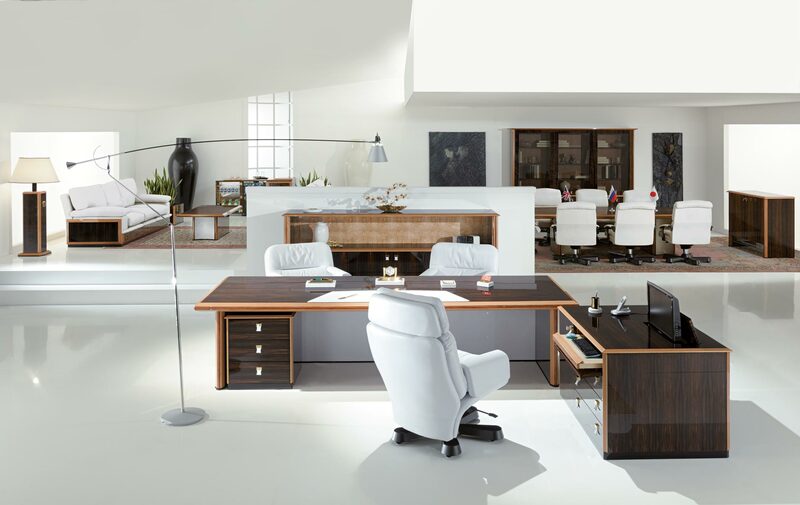 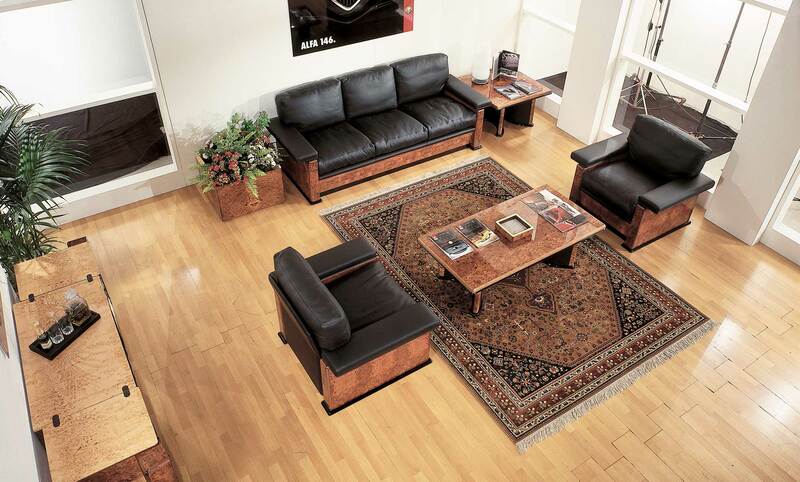 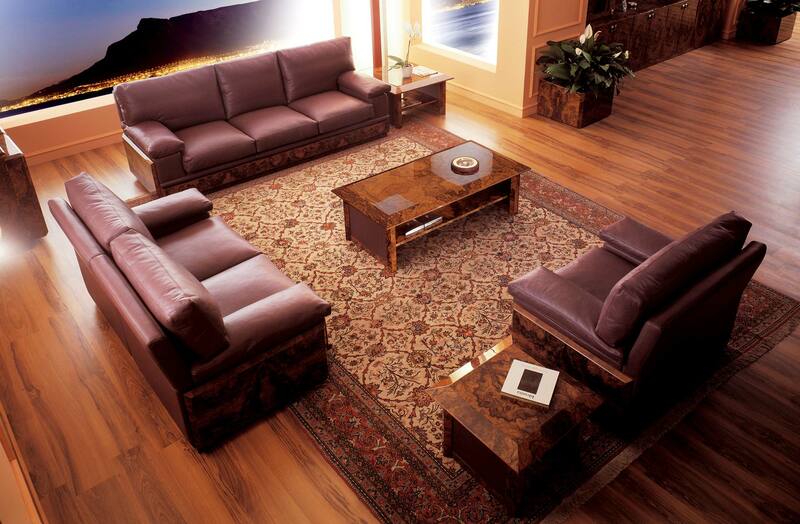 R.A. Mobili's burlwood and leather office furniture is Italian-made and oozes luxury and style. 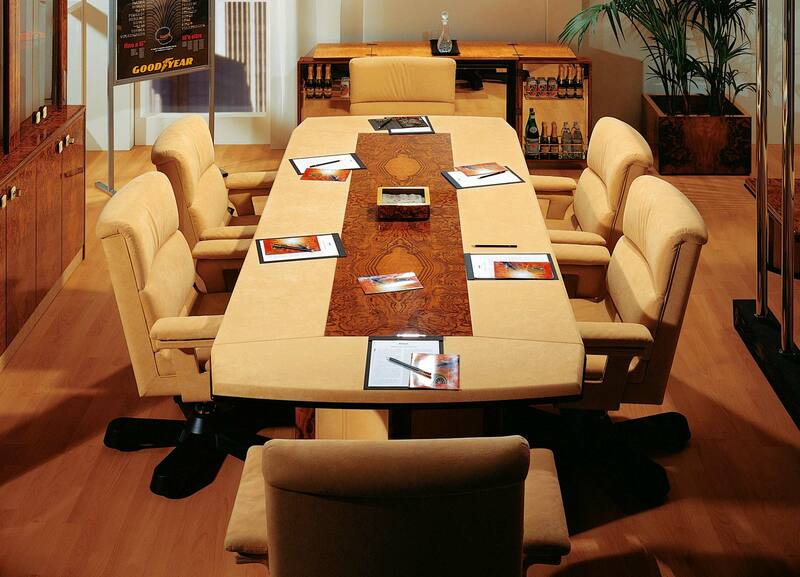 It is designed to be installed and assembled with no great effort, making it easy to sell anywhere in the world. 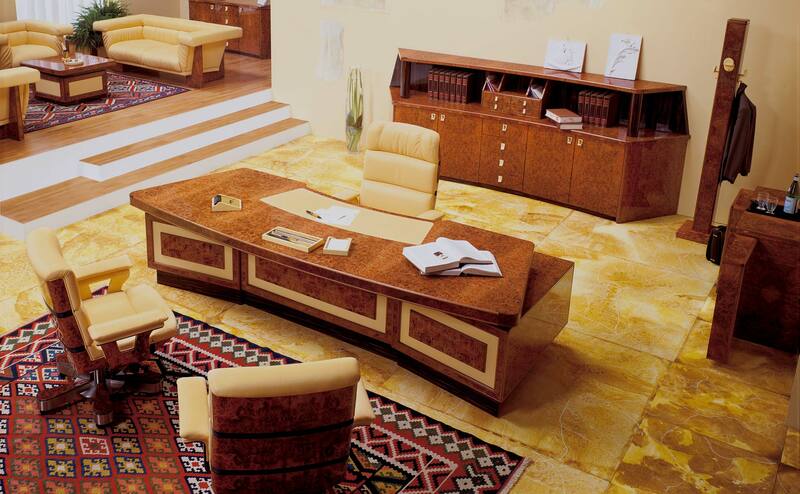 The full catalog can be obtained at R.A. Mobili's headquarters, whereas the website shows details of all the latest collections (updated in real time) with pictures of the most impressive de luxe executive and presidential office furniture, boardroom tables and chairs made by R.A. Mobili. 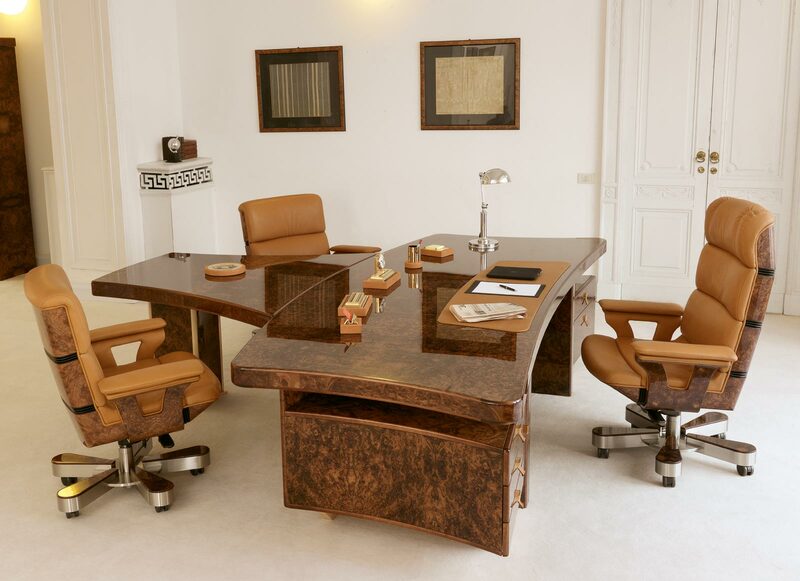 In executive and presidential offices decorated by RA Mobili a taste for classic de luxe furniture blends in with contemporary forms and made unique by the innovative combination of burlwood and leather.